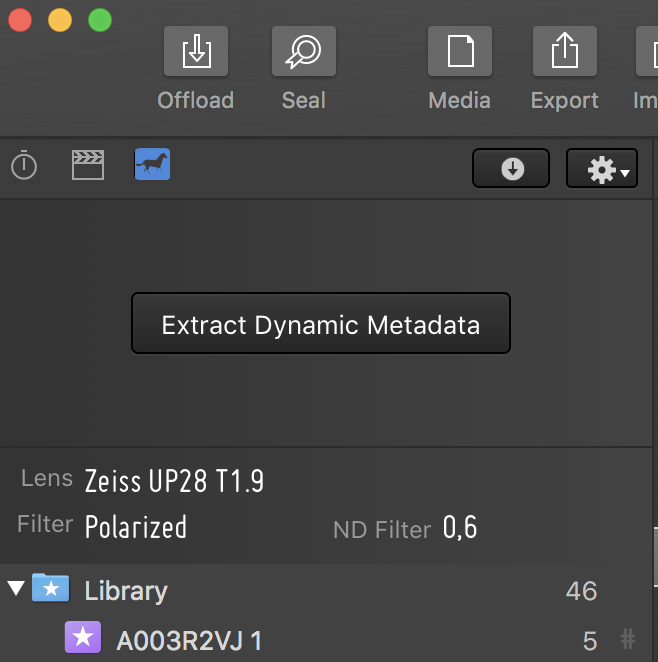 Silverstack XT and Silverstack Lab come with a “Dynamic Metadata” panel that allows to extract dynamic metadata for supported clip formats. Dynamic metadata refers to certain metadata information that changes over the time span of a clip (e.g. like TC which can also be considered dynamic). It is stored differently in diverse formats and therefore needs a special process to be accessed. 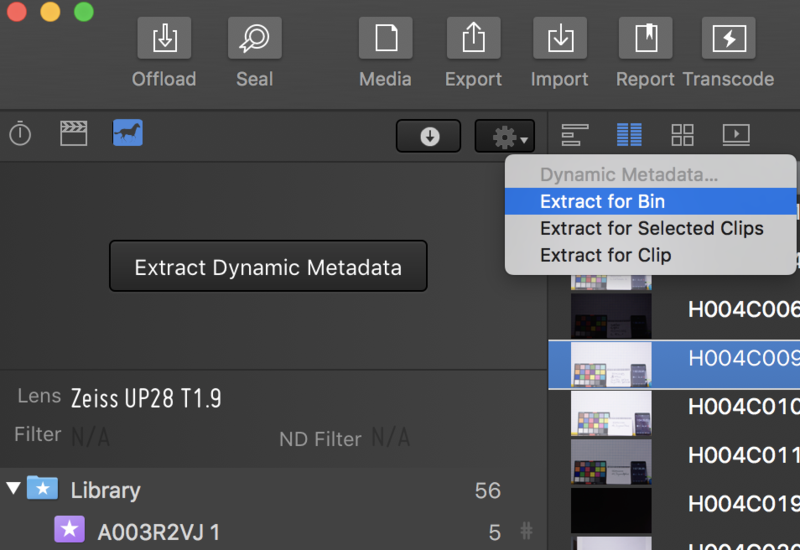 To extract dynamic metadata for the selected clip press the “Extract Dynamic Metadata” button in the middle of the dynamic metadata panel. 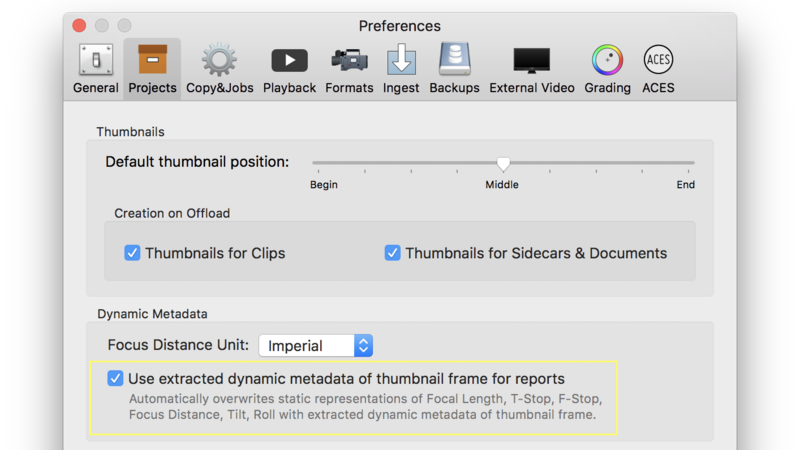 The metadata can now be inspected during playback or while scrubbing through a clip. They mirror data from the library and can also be edited in the General Info of the right sidebar. For clips that support the extraction of dynamic metadata Silverstack extracts the dynamic metadata of the first frame already on ingest. That also allows Silverstack users to benefit from the dynamic metadata functionality and receive lens and other dynamic metadata for the first frame. The additional lens fields can be exported to clips reports to enhance their information. Silverstack XT and Silverstack Lab provide an extended functionality to leverage the dynamic metadata for generic clips reporting. Like this you can make sure that the metadata that is referenced in the reports goes along with the shown thumbnail. 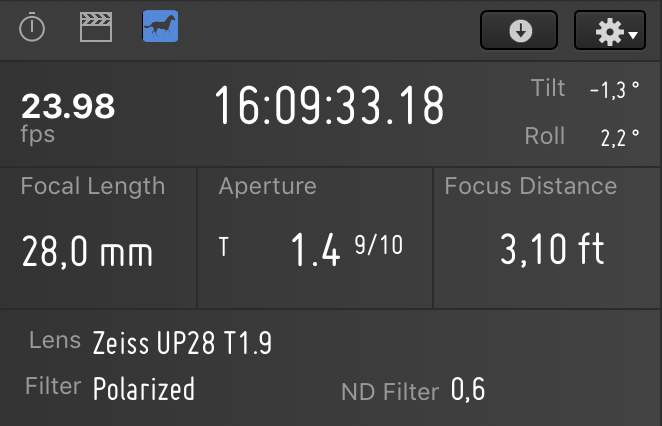 The focus distance unit can also be changed at the same position and allows to choose the display of the focal length in the dynamic metadata panel and the General Info to be imperial (inches/feet) or metric (millimeters/meters). 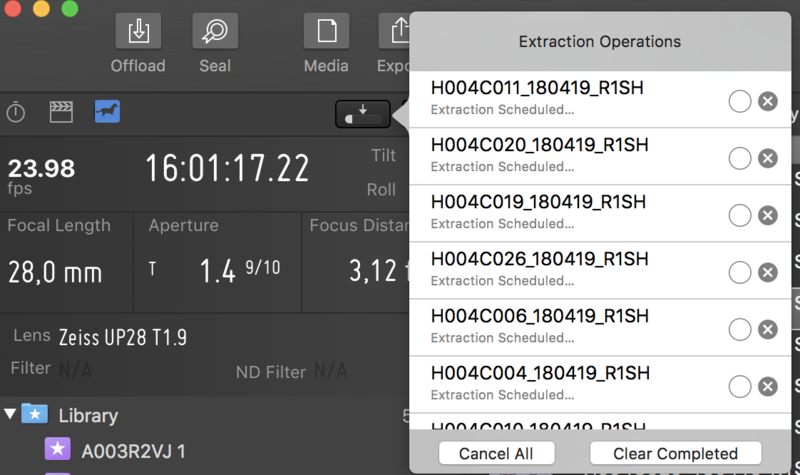 Silverstack Lab supports the functionality of adding burn ins of dynamic lens data when transcoding clips. A “Dynamic Lens Info” string that contains focal length, aperture and focus distance can be selected from the burn in options to be transcoded to the clips.